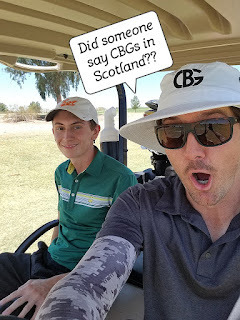 Kyle and Bobby Nuggets are famous for their love and passion of the game of golf and they just so happen to have a massive online following across the globe. They will be bringing their fun filled content to Ayrshire this August. Who knows where this will lead us in the future. But one thing is abundantly clear: WE ALL LOVE GOLF!" Well Kyle it has lead you to Scotland, The Home of Golf and we cant wait to have you!